The FAA recently published a final rule that will allow, when it becomes effective, instrument currency approaches to be logged using an approved simulator (being at least an "approved aviation training device" or "ATD") without an instructor being present. 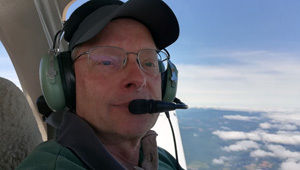 Bruceair.com has a good blog on this new rule here: https://bruceair.wordpress.com/2018/06/ ... ncy-rules/. I wondering if anyone on these forums has experience with the less-expensive ATDs to simulate a Diamond G1000 panel. As far as I can tell, the two most affordable are offered by flythissim (http://www.flythissim.com) and Redbird (the Redbird TD2, https://simulators.redbirdflight.com/products/td2). It would be great if you could build your own system using one of the popular flight sim platforms (I have X-Plane 11, which I like a lot), but I despair of getting such a system approved by the FAA. Although it would be a lot of money just for a system to practice approaches (since I already have a powerful computer for my non-aviation uses), I would consider getting an ATD for my home, so I could do some of my currency approaches without waiting for suitable actual IFR conditions or finding a safety pilot/CFI to do them in my plane. And no, I don't think doing simulator-only approaches can keep you truly current and safe, and so I would still plan on doing regular work/IPCs with my usual CFI. Re: FAA-Approved Sim for Instrument Currency? Nearly 100 folks have looked at this, but no replies. No one has any experience with affordable FAA-approved simulators? Hi Scott, I'm somewhat new to the forum so am still catching up on the many interesting posts like yours. I faced a similar quandary. I looked at both the Redbird TD2 and the FlyThisSim SD and VX. My interest was in developing and maintaining good buttonology and muscle memory for flying approaches in a DA40 with the G1000 panel. I didn't like the TD2 because the Redbird knobs don't match the actual panel (I don't know why they don't fix this) and it's yoke-only. I didn't like the FTS system because the touch screen emulation might provide a kind of buttonology but no real muscle memory. While I cannot say that I saved any money, and I haven't gone through the process to get any "FAA approvals", it really meets my needs. It really helps me maintain proficiency and makes short work of establishing legal currency when the Hobbs is running. Simionic just released an updated version that is based on 1902 nav data and provide an option to emulate synthetic vision. Simonic does not directly support the DA40, but the C182 setting provides the appropriate constant speed prop instrumentation on the MFD. I took the Pilot Workshop "Getting Started With Flight Simulation" and found some helpful tips in that. I haven't gone all the way to using service like Pilot Edge. If I few within their service area, it would be a great addition to the experience. Flying a sim is never exactly the same as the real airplane, and I've found what I've put together to be a worthy supplement to real flying. Interesting system that you've put together. What's your experience been on how accurate the G1000 simulation is when flying the various types of approaches (ILS, VOR, LNAV, LPV. etc.) and the GFC700 (VS, FLC, HDG, VNV, BC, etc.)? Also, I assume the laptop (a MacBook Pro?) is running X-Plane 11 - is that correct? Do you know of any reason a PC running Windows 10 and X-Plane 11 couldn't be used instead? 2. Lots of GNS functions were not emulated. I can't speak to the G1000, which it also had, but I suspect it lacked certain stuff there also. 3. The one I used didn't have DA40 simulation, but a C182 and a Mooney A36. This should have been OK, but it didn't really properly emulate the flying characteristics of these airplanes. One really glaring example that drove me nuts was you had to keep rudder in a properly banked turn or it wouldn't, well, turn. In effect, you had to skid all turns. And performance at various power settings felt random, and in no way seemed to represent the actual aircraft being simulated. 4. Integration with the tablet was supposedly there, but was unreliable. For my situation, just collaring a safety pilot and flying the plane is the best "simulation". Mark, if your computer and graphics card are capable enough to run X-Plane at a decent frame rate in simulated IFR conditions (i.e. bare minimum 20 fps), then Windows 10 vs. Mac isn't an issue. You can test this 'for free' before buying X-Plane and other simulator hardware accessories and adjusting the various settings per X-Plane instructions. Simonic supports both Windows and MacOS. Since the photo I posted was taken, I've added an external GPU box and graphics card to supplement my MacBook Pro's graphics capabilities. X-plane and Simionic support WAAS approaches. Simionic supports nearly all of the newer G1000 features, e.g. synthetic vision and GFC700 AP. The STMA X-plane simulation of the DA40 is pretty good and certainly sufficient for flying instrument procedures (SID, STAR) and approaches to minimums and going missed. You need to think of it as a 'different airplane' with a (slightly) different performance profiles for climbs, descents, approaches, etc, compared to the actual plane you're flying IRL. Landing the simulator is not the same. The Simonic solution isn't cheap, but I really like the physical element of having 'real' knobs to poke and twist. Certainly, if you have affordable (incremental cost is only fuel) and unrestricted access to a plane (i.e. 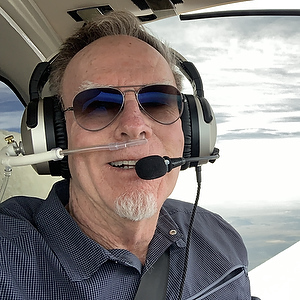 you're an owner), flying with a safety pilot is better. Plus you get real radio call experience (something Pilot Edge can provide to simulator pilots). However, if you're a renter at flight school at $175/hour, with difficult-to-schedule availability, with busy taxiways and airspace that eat up Hobbs time, a simulator is a great supplement to use to keep your scan sharp and fly approaches in conditions (ceiling, viz, winds) you might not attempt in an airplane, or at new airports you'll be landing at in a long XC. These are true. A proper simulator is a better training environment and is especially economical when your choice is some sort of rental. Of course, while still valuable, use of these homebuilt simulators do not satisfy IFR currency requirements. A worthwhile approach would be to use the heck out of your homebuilt and make judicious use of one of the approved simulators, probably available somewhere nearby, to keep current, as necessary. As a former partner in a Redbird FMX I can tell you that there is resistance to using it among pilots because it doesn't log as actual aircraft time. And many want to build hours toward advanced ratings and perhaps future aviation employment opportunities. My former partner still operates this, but it only breaks even, as he has costs of operation. These include a maintenance contract, which he needs to deal with various issues that arise and to keep software (approaches, e.g.) current. I've been using a Redbird SD AATD for my IR training which is FAA approved. It's a C172/G cockpit for all practical purposes with 6 screens that wrap around on both sides all enclosed in a small room which is sort of like a cockpit. I previously used a PFC simulator for learning the G1000 when I switched from a six pack and there is no comparison. The PFC is fine for learning buttonology, but it's not convincing as flight simulation. In the Redbird I spent some time to figure out the speed/configuration/RPM settings which produce the same approach speeds as the Diamond. The G1000 approach procedures are mostly the same as in Foreflight/FAA when the Redbird has been properly updated. The buttonology is the same, excluding some of the G1000 bells/whistles; for approaches it is effectively the same. It can be used for a fully coupled ILS approach, hand flying a VOR approach and everything in between. Hand flying takes a light touch and is certainly not the same as real plane, but the concentration required to stay level and coordinated is similar. When you go missed hand flying you're a busy pilot, just like in the plane. There are three huge benefits of the simulator. The first is the ability to set the weather to whatever conditions you want. I can set a solid cloud layer with a 500' ceiling and I'm flying in the soup until 500' with a 450' DA, and then change it to 1000' for the next approach with an 800' MDA. The second is the ability to fly at "night" during the day. The third is the ability to fly approaches to airports not near my home. Planning a trip to a new city or airport that is more challenging that your local airports? Fly the approach to the primary and the alternate in VFR conditions just to get a feel for the visual landmarks, terrain, etc. No, it's not the same as a real plane, but two hours in the sim can still be a stressful and educational experience even if your life is not in danger. I pay $75/hr, it doesn't put any hours on my plane, it's far more efficient for a given period of time than going up in the plane and I don't need a safety pilot or a VFR day. Back to the OPs question, it will satisfy the currency requirements. But like many other things, compliance with FAA rules can be "necessary but insufficient" for real safety. I see the simulator as a complement, not a replacement, for practice in the plane. My experience is that PC based simulators don’t really help all that much to maintain your “stick and rudder skills”. Flying a real plane is best for doing that. Just google “G1000 gotchas” for a few examples of the subtle mistakes one can make with the G1000. It's really hard to practice these corner cases in a real plane doing practice approaches with 4 other planes in the pattern doing touch and goes at the same non-towered field. I’ve been using the Version 12 of the Garmin’s G1000 DA40 simulator with Logitech joystick, which is a pretty accurate simulation of the real device (WAAS, SVT, etc. ), but I find it clunky to “spin the knobs” by clicking the mouse next to the buttons. I can also image practicing with something like Pilot Edge could also be a great help in that responding to radio calls while frantically trying to make the G1000 behave can be challenging at times. For that reason, from my perspective the accuracy of the simulator’s performance profile for pitch-power-attitude settings are less important than how accurately the avionics are simulated. That includes simulating all the "gotchas" of the real device.